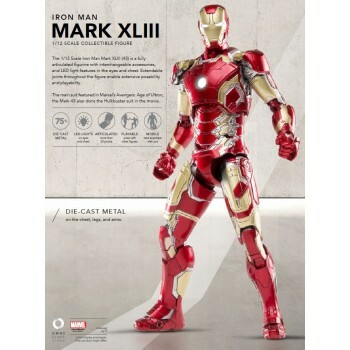 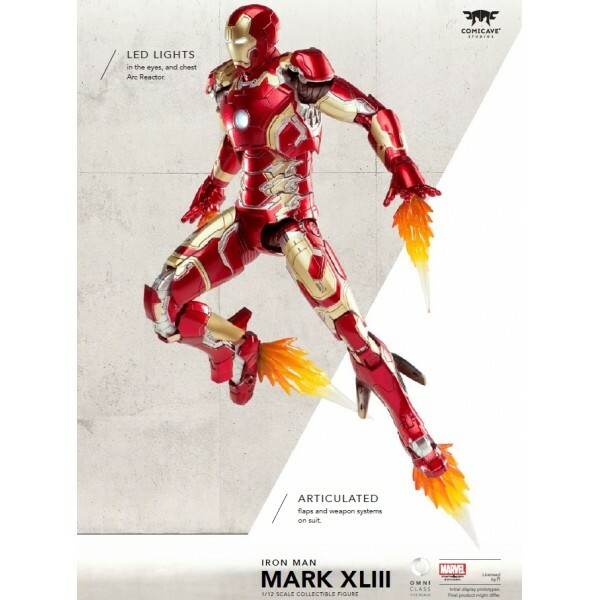 The 1/12 Scale Iron Man Mark XLIII (43) is a fully articulated figurine with interchangeable accessories, and LED light features in the eyes and chest. 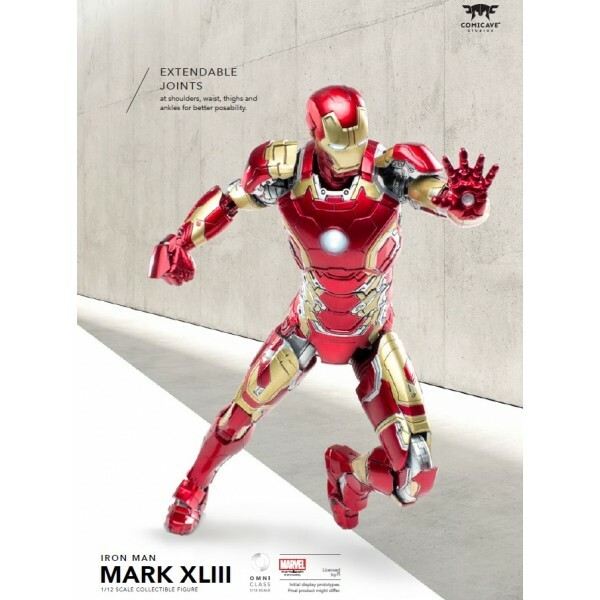 Extendable joints throughout the figure enable extensive posability and playability. 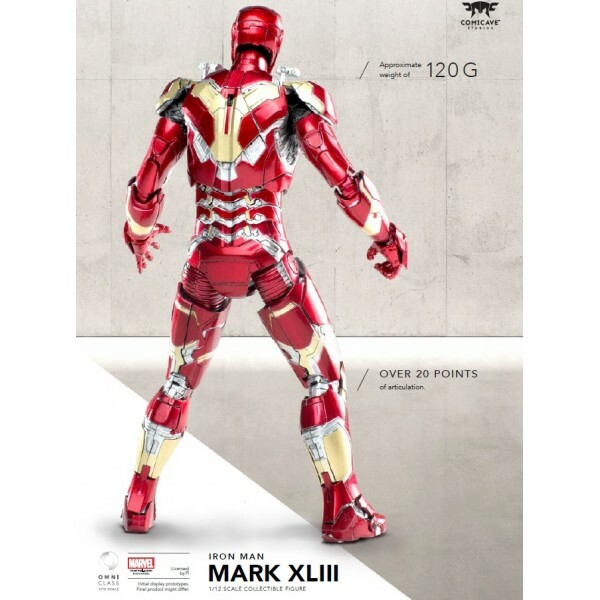 The main suit featured in Marvel’s Avengers: Age of Ultron, the Mark 43 also dons the Hulkbuster suit in the movie. 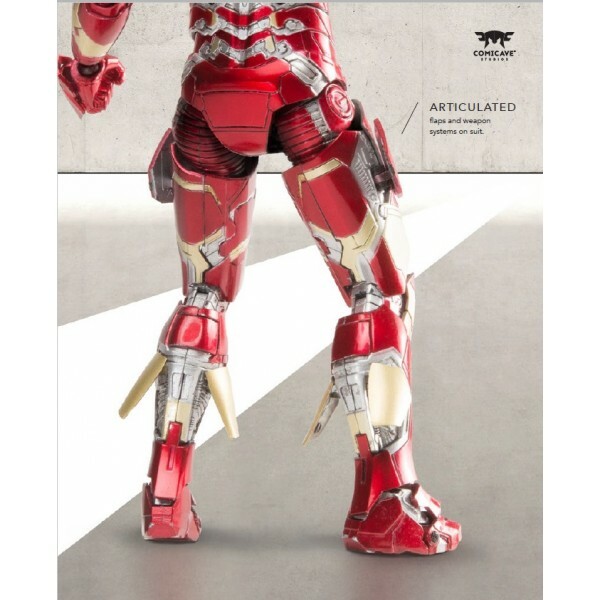 It includes 5 pair of interchangeable hands. 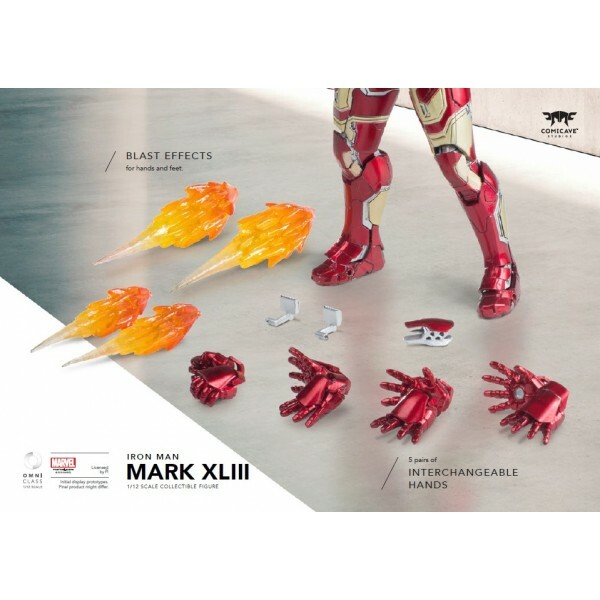 Blast effects for hands and feet. 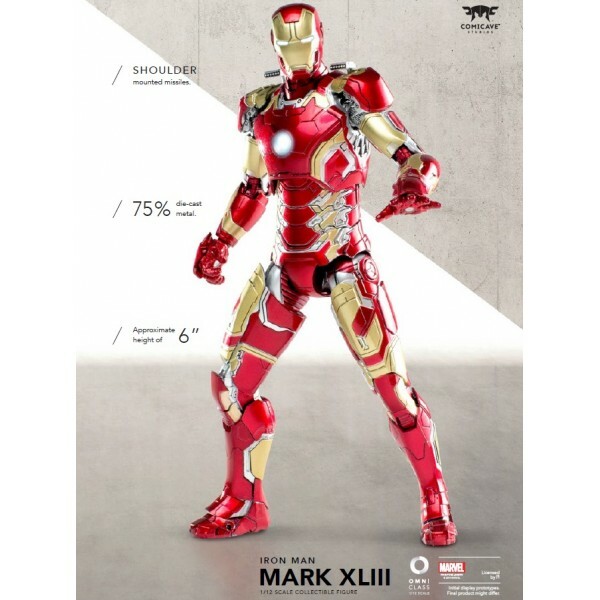 Forearms and shoulder missiles.